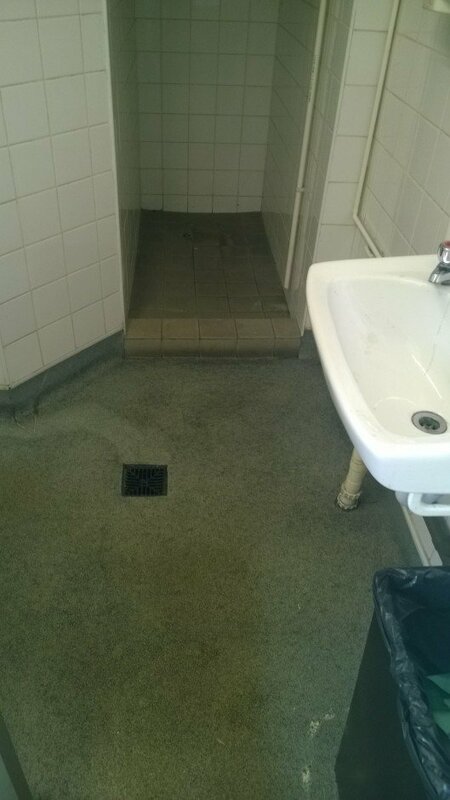 RWS were appointed to undertake refurbishment and dilapidation works to the wash and toilet areas of a commercial factory unit. RWS Undertook a standard dilapidation survey of the area and worked this into a design scheme including drawings, scope and finishes schedule. 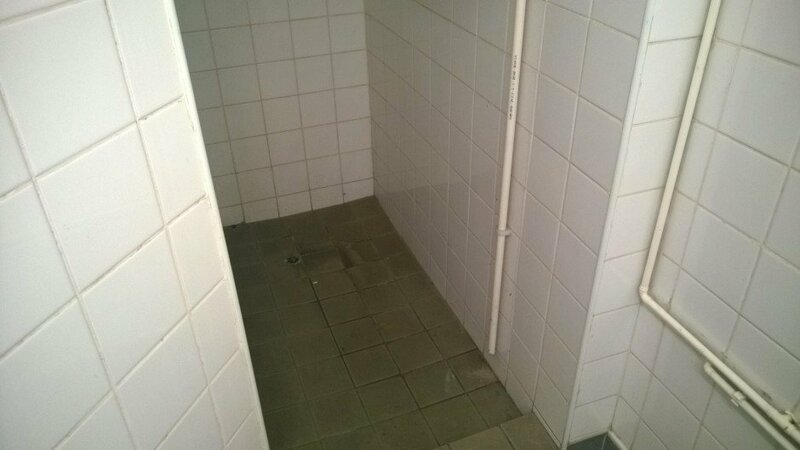 The toilet area serving the main factory area, had become dilapidated and in need of refurbishment. It was in constant high-level use with the workforce working a 24 hour shift pattern and with up to 40 people using the facilities. 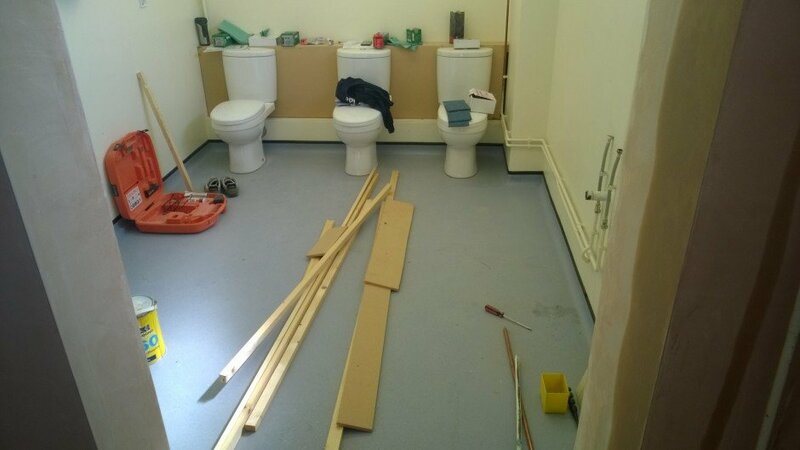 The scope of works had to be divided into two phases to allow the staff to carry on using the facilities during the program of works. RWS design team provided a sketch layout and agreed this with the client prior to refurbishment works. 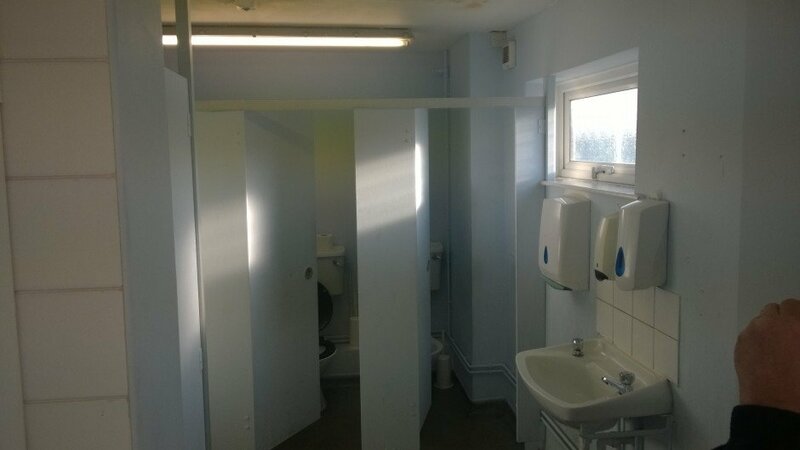 Some additions had to be made to the scheme to accommodate certain requirements the client had due to the nature of the works they undertake on a daily basis. 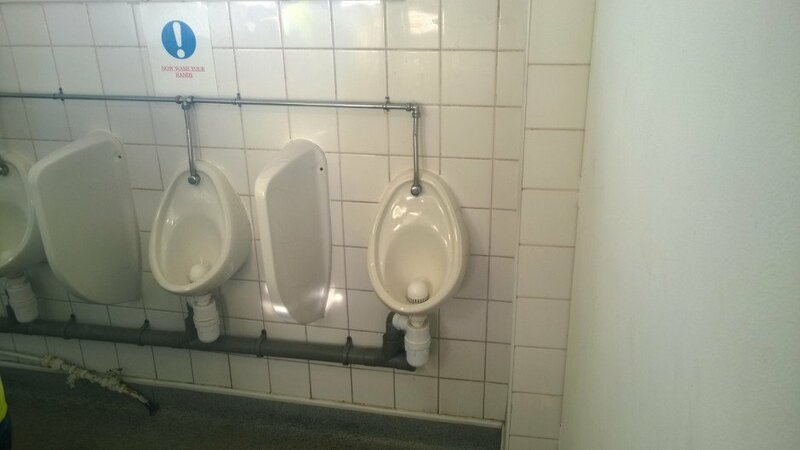 The final design included; a private shower area including a lockable door and changing area; independent cubicles; stainless urinal trough, which was far more suitable than the old style ceramic individual units in terms of general use and cleanliness. 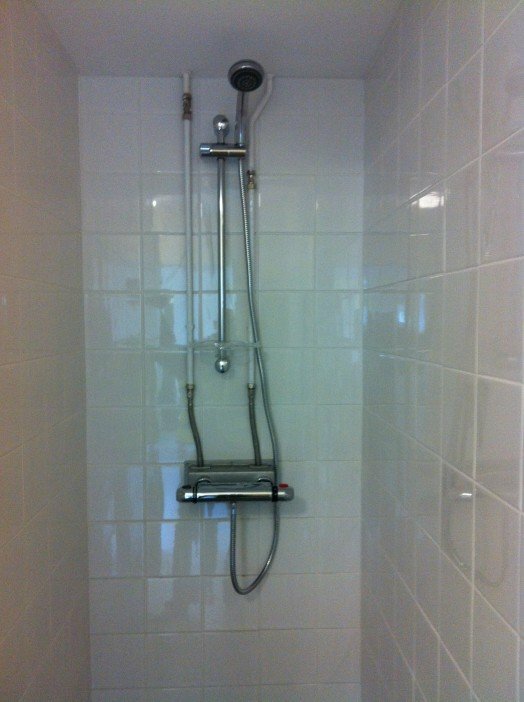 The existing wall covering was floor to ceiling ceramic tile, the tiles were broken in isolated areas and the grout was looking dated and unhygienic. 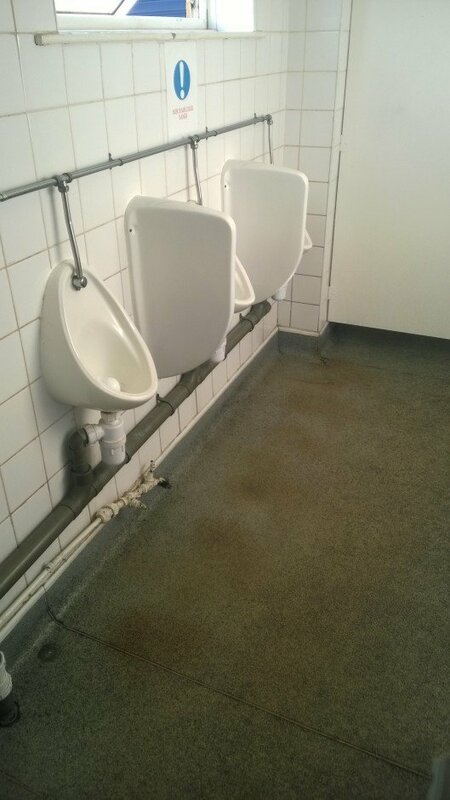 The client expressed an opinion that the tiles were not ideally suitable for today’s standards and it was not an appearance they wanted to portray. A high grade washable paint surface was specified for its hygienic properties, ease of maintenance and also ease of change in years to come. 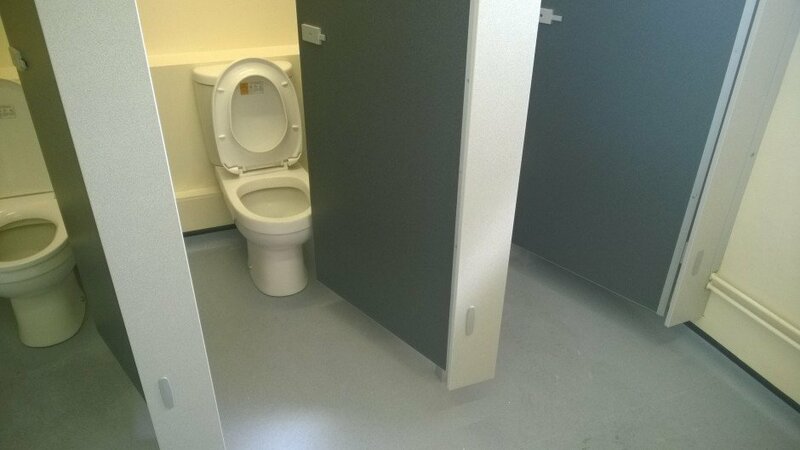 New vinyl non slip flooring was specified due to its easy to manage surface and wall coverings such as wipeable splash backs. 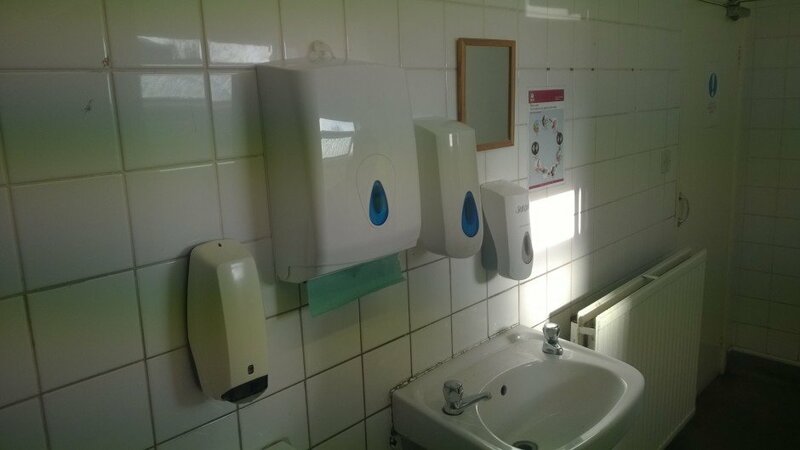 This included a vertical upstand to elevations to make the area easier for general cleaning and maintenance. 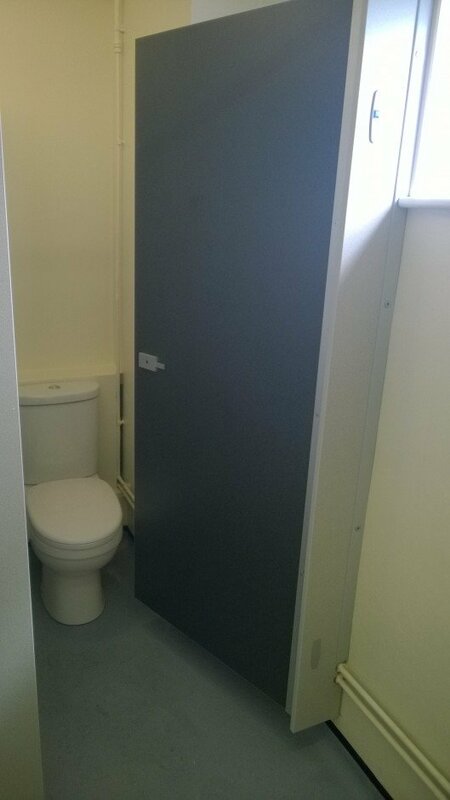 New toilet cubicles were installed. 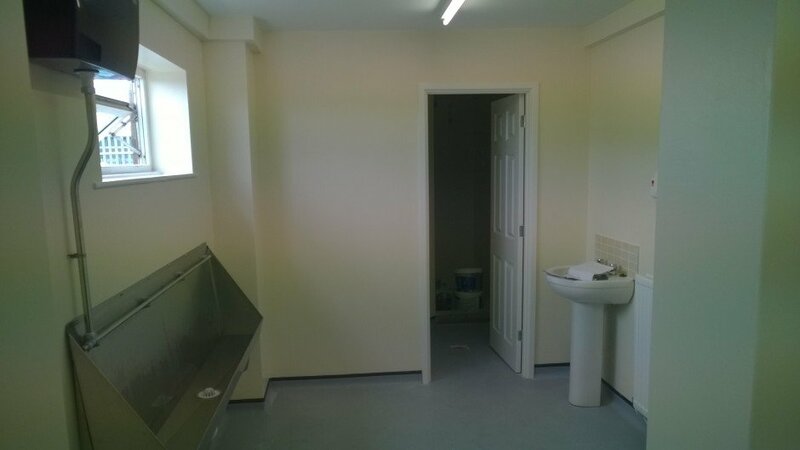 A modular system was specified which would be low maintenance with high hygienic properties. 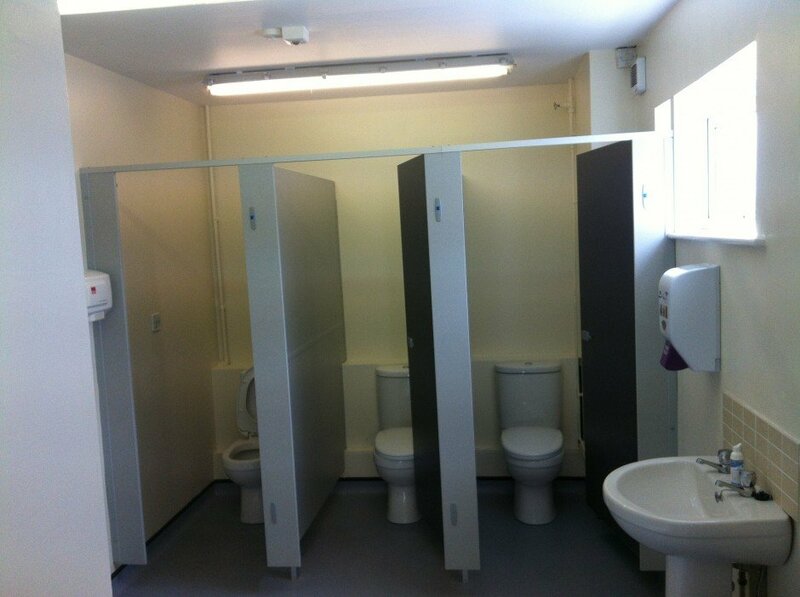 Fixtures and fittings including toilet roll holders and coat hooks were installed by request of the client. 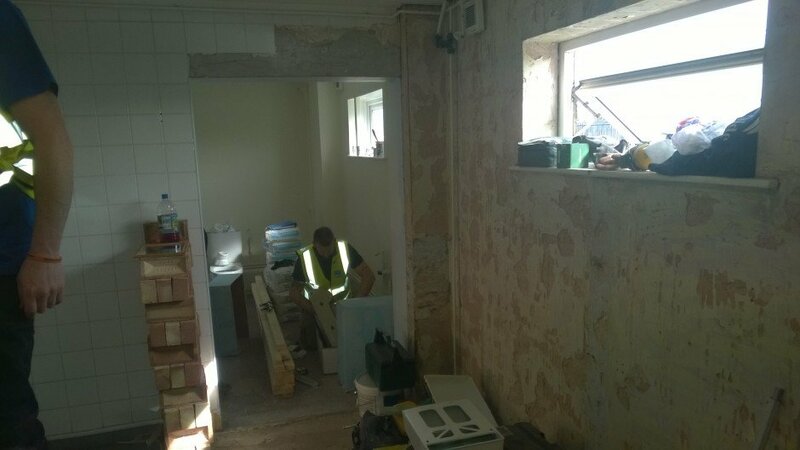 The dilapidated facilities were soon refurbished into a comfortable and pleasant area which will serve the factory staff for many years to come.